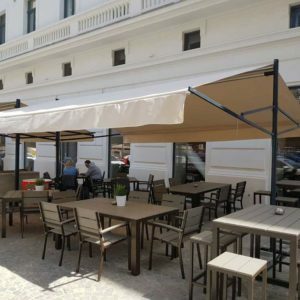 This awning is equipped with an aluminum roof and a cover made of acrylic fabric with a weight of 350 g. You can also choose other types of fabrics, with different colors, which can be printed on request. It opens and closes easily with a crank. 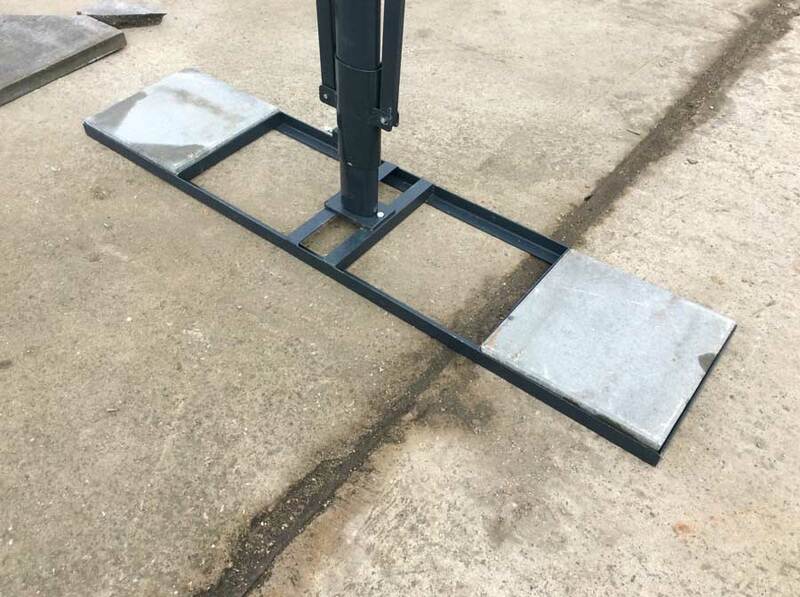 It comes with two galvanized iron bases, with a place for 4 concrete slabs measuring 40×40 cm (50×50 cm). 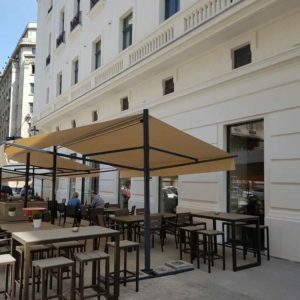 The Firenze retractable cover is more resistant to wind than the umbrellas, and the enclosed space is free from obstacles and safe, regardless of climatic conditions. 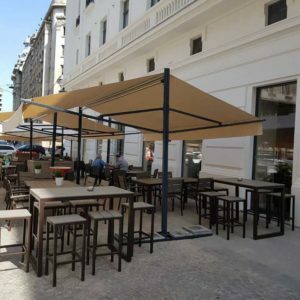 For ease of transport and assembly, the retractable cover is composed of a set of 4 tubes (4-6 m long), of which the cover is attached. At the top extremities are inserted 2 accessories which must be inserted and screwed in. Their role is to fix 2 sets of pillars and arms. At the lower end of the two pillars, the tilting tubes of the bases are inserted. 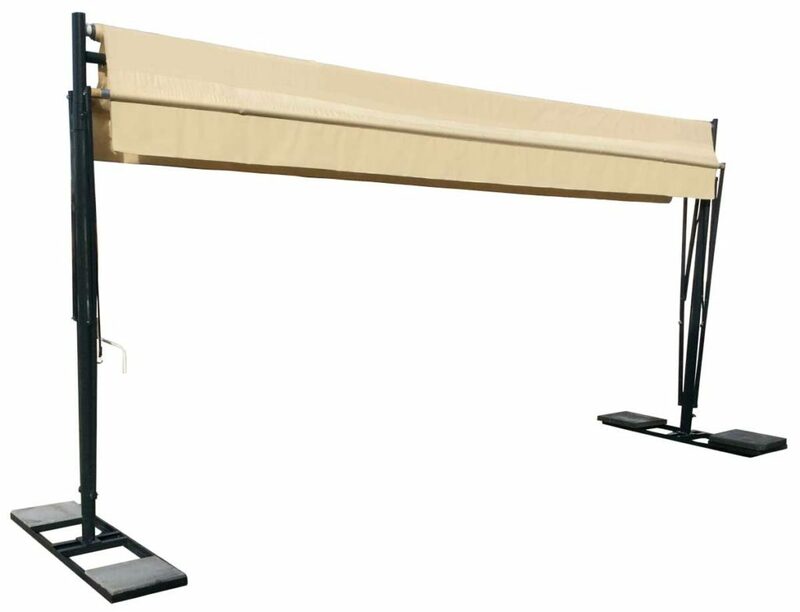 After placing the bases carefully and loading them with weights, lift the retractable cover in the upright position. Everything should be fixed with the supplied screws. 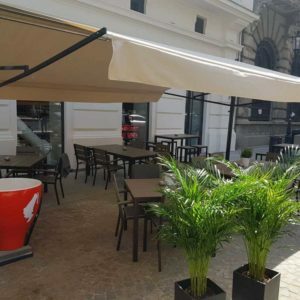 Two persons should take part in the installation of Firenze retractable cover and should have the following equipment: 13 mm spanner, pliers, screwdriver, two stands or chairs. 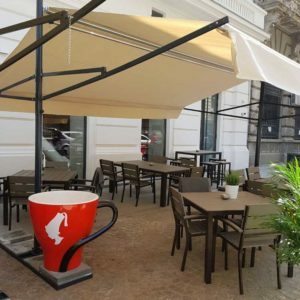 The chairs or the two stands will support the set of tubes tied together with the cover, to which two sets of pillars with arms attach to the sides. *INFO: The prices are expressed in euro and do not include VAT.